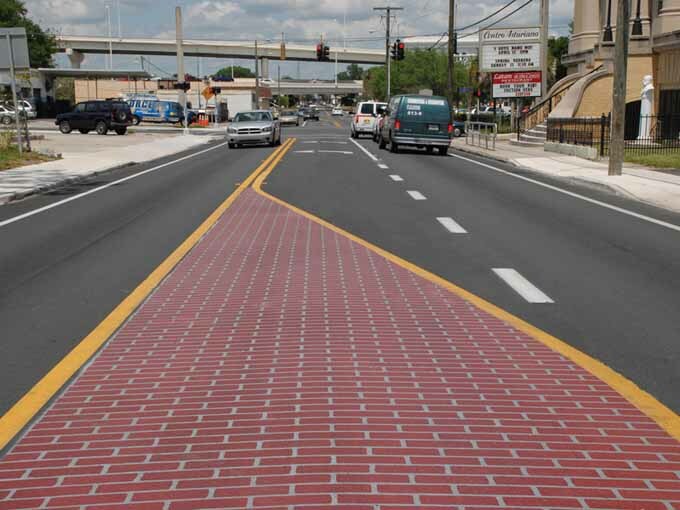 TrafficPatterns™ is a durable preformed thermoplastic pavement marking material used primarily for streetscape and traffic calming purposes on public roads and private properties. 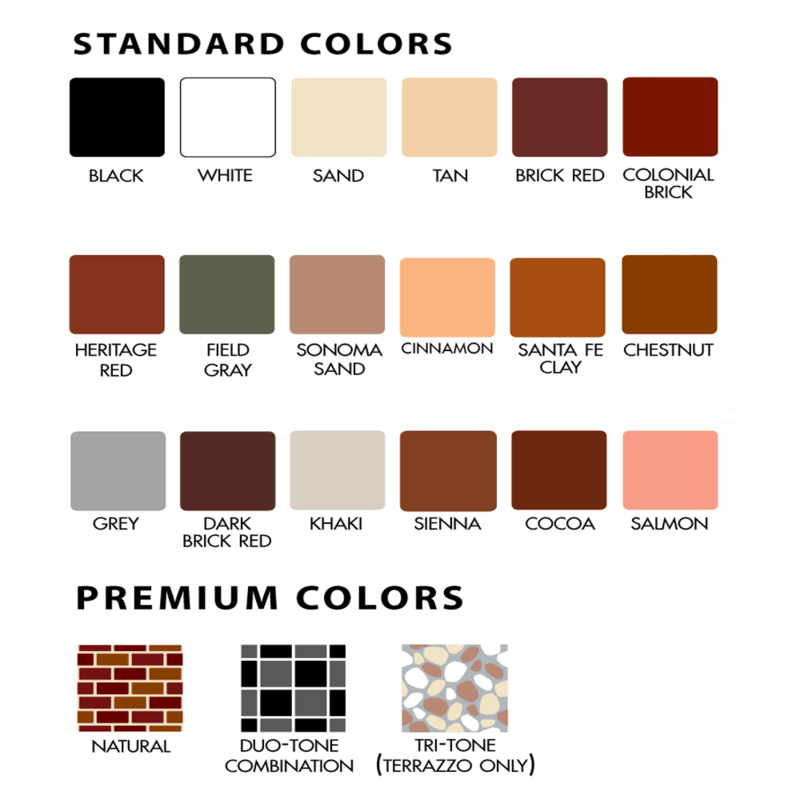 TrafficPatterns™ provides a cost-effective alternative to the use of brick and stone pavers because the material is surface applied and virtually maintenance free. Available in 125-mil thicknesses, the 2 ft. x 2 ft. sheets of interconnected material are easily lifted and positioned onto an asphalt or concrete surface for application with a propane heat torch or large heater. High Skid/Slip Resistant: Skid resistance is maximized by adding anti-skid elements to the surface and the intermix of the material at the time of manufacturing. As the marking wears, new anti-skid elements are exposed.Enhanced Durability: TrafficPatterns® is engineered as heavy-duty intersection grade pavement material and can last 6 to 8 times longer than painted or epoxy-coated surfaces. 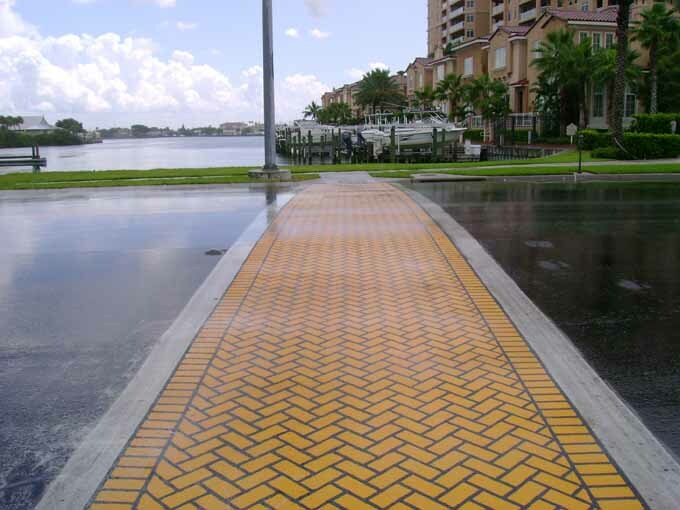 This material eliminates the maintenance and safety concerns of loose pavers and is snow plow friendly.Accessibility & Maintenance: TrafficPatterns® has the same surface characteristics as the pavement. 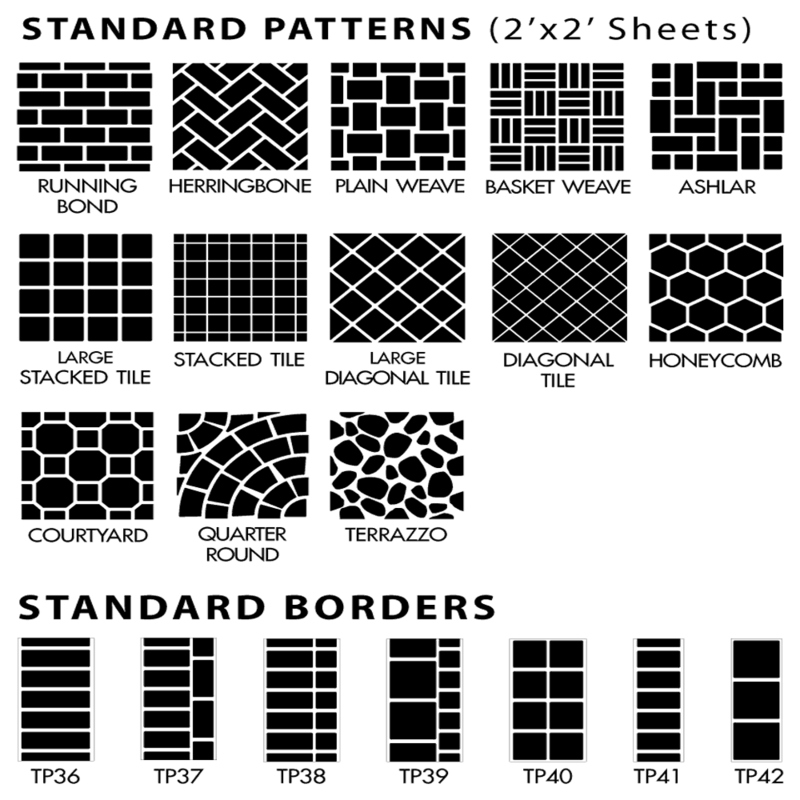 Therefor, there is no additional vibration level or rigid bumpy effect as with pavers and imprints. Although virtually maintenance free, it’s easy and quick to repair with minimal traffic disruption. remove damage, apply sealer, replace with new material, and heat.Manufacturing Control: All TrafficPatterns® preformed thermoplastic materials are made at Flint’s manufacturing facility which is ISO 9001:2008 certified for design, development and manufacturing. Quality, value and long-term performance are built into the material.